An international investigation is underway to get to the root of this week’s extensive cyber attack on Norwegian industrial concern Norsk Hydro. The partially state-owned company remained mostly offline Wednesday morning, but Hydro officials claimed they were making progress in restoring “secure and stable” operations. Interpol has joined the investigation into the major attack that set off alarms at Norway’s state police, both the country’s military and police intelligence agencies and Norway’s national security authority NSM. “We have a coordinating mechanism among the agencies,” Bente Hoff, acting director for Norway’s National Cyber Security Authority (NSM NorCERT), told state broadcaster NRK. The goal is to establish how hackers infected Hydro’s systems, and who’s behind them. The company issued a press release Wednesday morning reporting that the team had discovered the reason for the problems and was now working “to validate a plan and process for restarting the company’s IT systems in a safe and responsible manner.” The company still couldn’t say, however, when that would occur. Asked whether Hydro had received a concrete ransom demand, Kallevig responded that “what’s normal is such situations is that there are open text files in which someone asks for ransom money. We haven’t spent any time on that, nor has there been any request for a certain amount.” Kallevig had declared on Tuesday that Hydro would not pay any ransom money. He admitted that administration and production tasks were made “more difficult” because Hydro’s network was shut down. 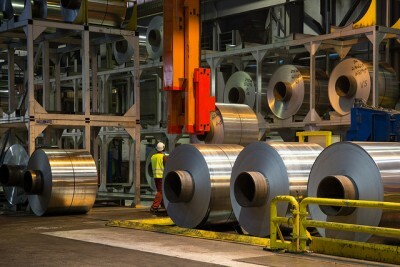 In Norway, the company’s aluminum plants at Karmøy on the West Coast and in Holmestrand southwest of Oslo were most affected. They shifted over to manual operations to keep production going.